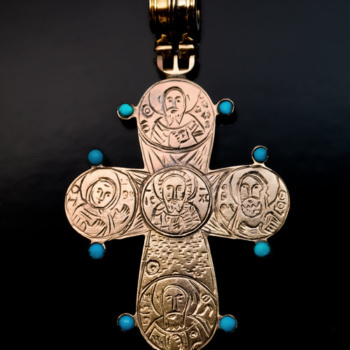 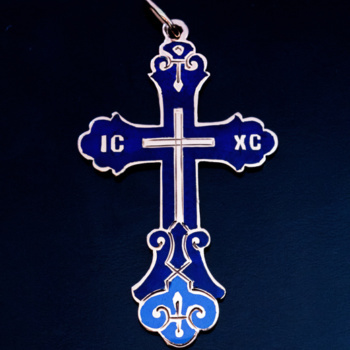 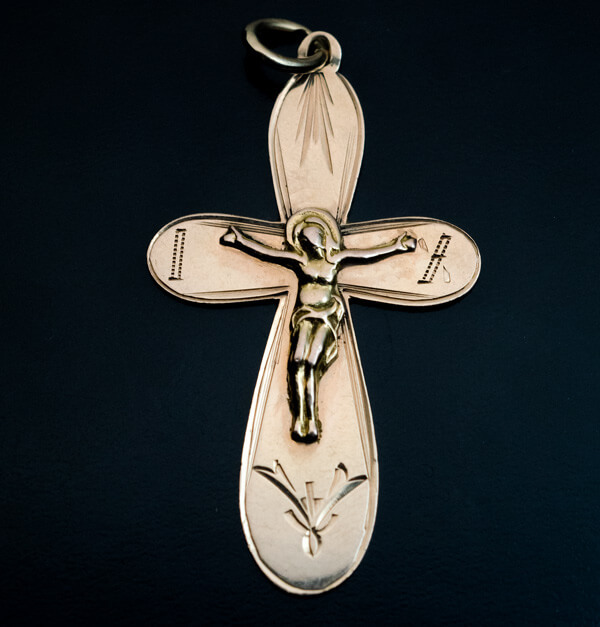 This antique 14K rose gold cross was made in the 1870s in the city of Arkhangelsk (Northern Russia). 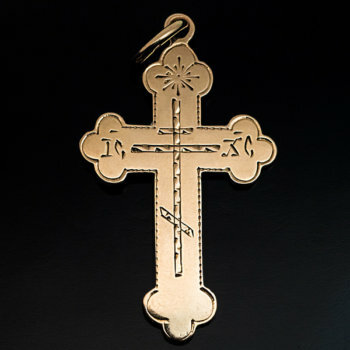 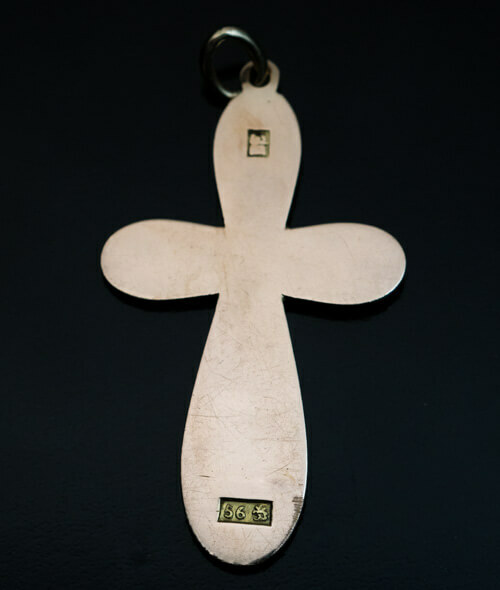 The cross is centered with a sculptural corpus of Christ flanked by two letters: I and X which stand for Jesus Christ. 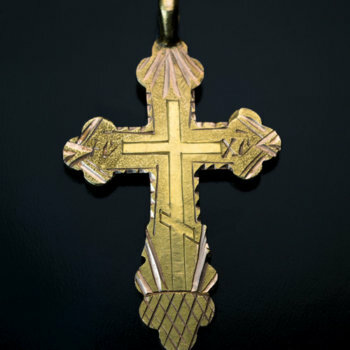 The cross is marked on the back with maker’s initials and 56 zolotnik Imperial gold standard with assay mark of Arkhangelsk.